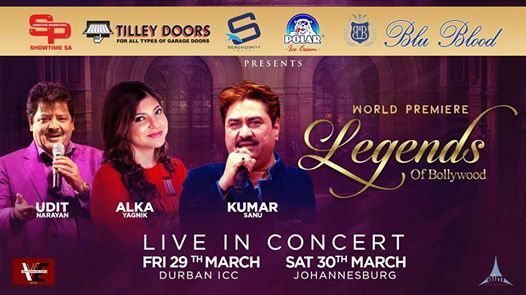 For the very first time performing on one stage TOGETHER, The legends Udit Narayan, Kumar Sanu and Alka Yagnik will be live in concert. Come and relive the best era of Bollywood music! Tickets from R300 available soon from Computicket. Contact 031 8234220 for VIP tickets.